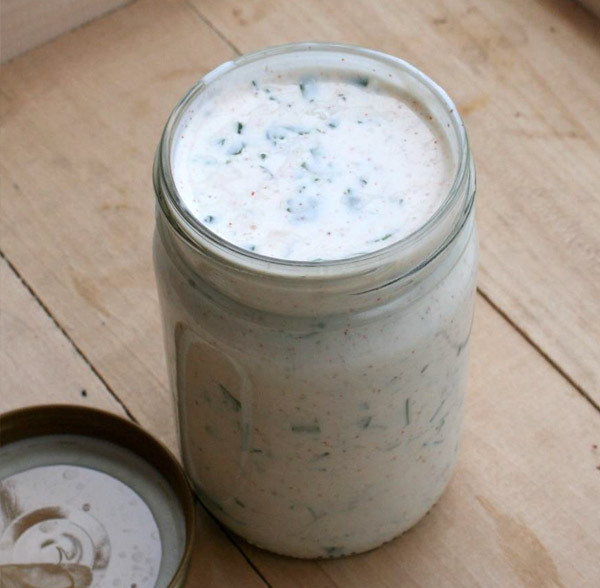 Commercially prepared ranch dressing in a bottle usually contains a vegetable oil such as soybean or canola oil, water, eggs, sugar, buttermilk, vinegar, salt natural and/or artificial flavors, spices, xantham gum and preservatives. Some manufacturers add gluten, such as wheat flour as a thickener. There can also be cross contamination during the manufacturing process. Look for “gluten free” labels underneath the ingredients list or somewhere on the back but when in doubt, it is best to avoid ranch dressing found in a grocery store.